Submitted by TheProf on Thu, 09/16/2010 - 1:51pm. 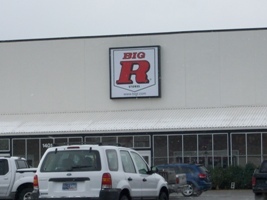 Another chain of stores similar to Farm and Fleet, Tractor Supply and Rural King. New Locations added. Added 39 locations to existing database. Coverage now includes the following states: CO, IL, IN, KS, MT, NV, OR, WA, WY.